Mom, the Intern: On choosing compassion. As a youth, I was very sensitive to others' needs. If I saw someone with a disability or a health issue, or a homeless person, it would bring me to tears. I couldn't bear the thought of people or animals suffering. I cried, a lot, and it didn't take much to get the waterworks going. I shied away from arguments. Simply existing was exhausting for me because I felt EVERYTHING on such a grand scale. Somewhere along the line, I became convinced I needed to shut that down and toughen up. I believed logic is king and anything else is heresy. I felt ashamed of my emotional vulnerability, and I trained myself to perceive the world logically, tuning out any emotional components. If people were suffering, it was sad, but I believed was ultimately their fault. I would readily engage in civic discussions, but only to defend my positions, not to actually hear what others had to say. I viewed anyone who disagreed with me as an enemy to the cause of freedom. But, I was born an empath, and living this way was taxing on my tender heart. I hated how I felt when people seemed hurt by my assertions, or when rude comments crossed my path. But in response to my discomfort, I continually chose to close myself off to any sort of emotion. Disregard. Ignore. Unfriend. Block. Don't you dare cry, I admonished myself. As I married and had children, I found this cold approach contradicted the sensitive compassion the roles of spouse and parent required of me, and it also contradicted my faith. I believed the Savior wanted us to love our neighbor, and I believed charity was God's ultimate commandment. But, my heart was hardened, and I couldn't make it soft again. And then, my mom died. Her death changed me in so many ways, but the best way was that it gave me back my empathy. It once again allowed me to "mourn with those that mourn." I've stopped trying to hold back my tears. I've warmed up again to showing and receiving affection. I no longer care about being right. I care about being compassionate. Two weeks ago, on Valentine's Day, my nephew Austin was in a regular day of class when a shooter entered his school and ruthlessly took the lives of 17, including four of his close friends and his coach/teacher. It has been absolutely devastating for him, as you can expect. The press is focusing on those who are channeling their grief into revolution -- which is commendable -- but so many students from Stoneman Douglas High are suffering privately in the aftermath of this tragedy, and Austin is one of them. Every student, teacher, administrator and staff member at that school lost people to whom they were close on February 14. 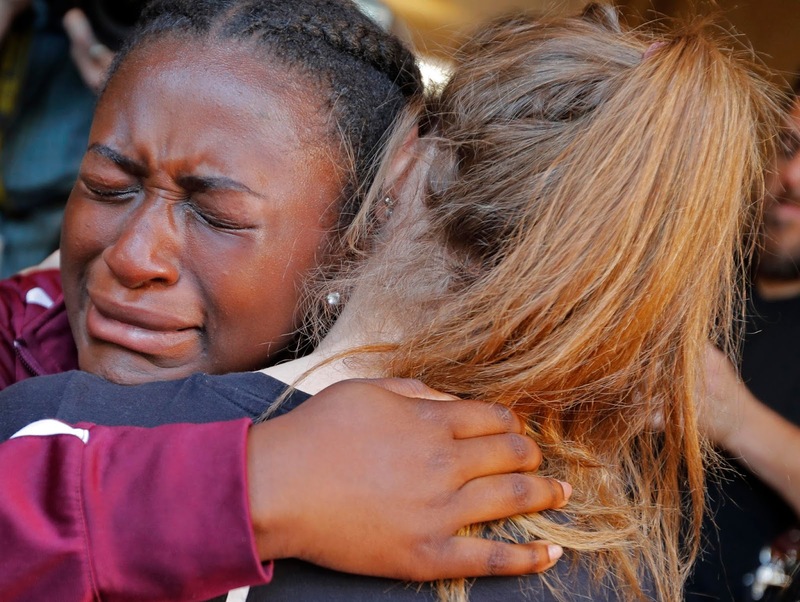 Parents and siblings of the victims didn't get the chance to embrace them or say "I love you" one last time before the ammunition ripped through the victims' bodies and ended their lives. Yet, if you take a quick glimpse at the comments on various news articles and social media outlets, you'll see many who seem to have forgotten that REAL PEOPLE are in the worst kind of pain imaginable because of this senseless horror. Instead, they are hellbent on defending their positions -- even to the point of insulting those who disagree and callously questioning the credibility of the outspoken victims. It's ugly and heartbreaking. Politics should act as guiding principles in civil matters. I do believe it's important to know where you stand on the issues and why you stand there. Yet too often, we hide behind our political philosophies, or even wield them as weapons. The become the end and not just a means to it. We insist our way is the smartest way, the only way for our country to be successful. And we completely throw compassion to the wind. Logic is not king. Love is. Yes, logic is important to a well-functioning society. We should learn to think rationally and not allow our emotions to totally run the show. But God gave us emotions so that we could connect with one another. As His children, we are all spiritually related, but we forget this. Our anger and determination to best each other extinguishes any inkling of the innate compassion we hold in our hearts. Emotion has a place in reconnecting us to one another; it allows us to truly "see" each other and to put our hard-line stances aside to work together. As I have allowed kindness to guide my political beliefs, some of my positions on matters have migrated toward the center. For instance, I no longer believe guns should be completely unregulated. I do not support a total ban on guns, but I advocate regulative measures such as the taxation of weapons and ammunition, a higher legal age requirement for the purchase of weapons and ammunition, and proper training and licensing. This shift in my beliefs has come as I have realized the unencumbered right to bear whatever arms and as many arms as you want at whatever age or mental capacity is not as important as the right to life and safety. As I've softened on my political stances, allowing my empathetic side to appropriately weigh in, I've actually become more confident in my convictions. I no longer feel the need to bend to a specific party's platform or ideals. I have taken a reasonable approach, and it's no longer tiring to engage in discussions about what I believe. Yes, I still support a system of limited government, and I believe in the science of economics. But I acknowledge kindness needs a place at the table, too. Without it, we just aren't human. I imagine how different the world would be if we could all come together at times like these, put our differences aside and work towards something bigger than all of us. The scriptures tell of how the people of Enoch attained this state: "And the Lord called his people Zion, because they were of one heart and one mind, and dwelt in righteousness; and there was no poor among them. (Moses 7:18)" I look around and see how broken we are, and I wonder if achieving Zion is even possible today. I actually believe it is, but it would require us ALL to cast aside our pride and embrace our compassion for one another. We'd need to fully see each other, spirit to spirit. At the end of my life, I don't want to be known for being RIGHT all the time. I want to be like my mom, who people always remember as kind and giving. Yes, she had her beliefs, and she was strong in them. 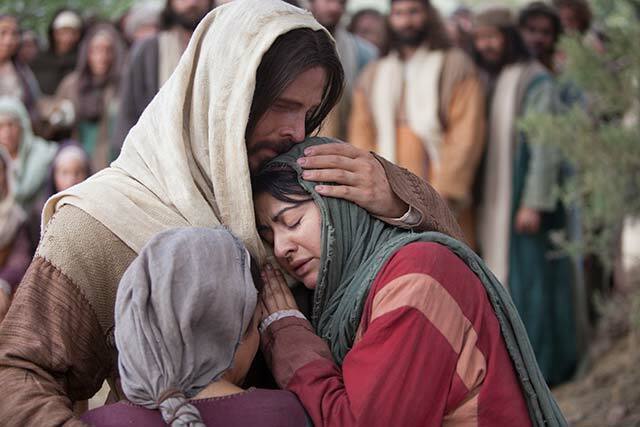 But she followed the Savior's example and let love lead the way. And though I am still heartbroken to have lost her, I am grateful that her death has reminded me I can, too.